Before I begin my review…. Honestly, this review for Prometheus is probably one of the hardest reviews I have ever written. I’m not quite sure how to put into words why I have found this so hard to write, but my actual experience with the film was that I left not knowing how I am supposed to feel about it. Well maybe that is the wrong way to put it. I left the cinema and I wasn’t sure whether I liked the film or whether I didn’t like it. I needed time to gather all the information I had and pile it together to get an informed opinion. I really didn’t feel like I could write this review if I only half-heartedly believed that I liked it or didn’t like it. What good is a review when you are telling people “I’m just writing this review for the sake of writing a review because I really don’t know whether I like it or not so therefore I can’t inform you as to whether you should go and see this film or not”? My husband and I are big fans of the original Alien and Aliens and the one big thing I felt like we missed out on with Prometheus was I wanted to know more about the aliens which are in these films. If I looked at it that way, I was going to be disappointed. Ridley Scott has gone about Prometheus from a completely different angle and really, as a stand alone film, I am very impressed. So my initial thoughts were that fans of the original were going to be disappointed. Yet, many Alien/ Aliens fans really loved Prometheus. There is really a divided thought among all the sci fi fans out there. I guess the big thing is that Prometheus is very different compared to what people, including me, were thinking it was going to be. This is probably where the disappointment some people are experiencing came from. 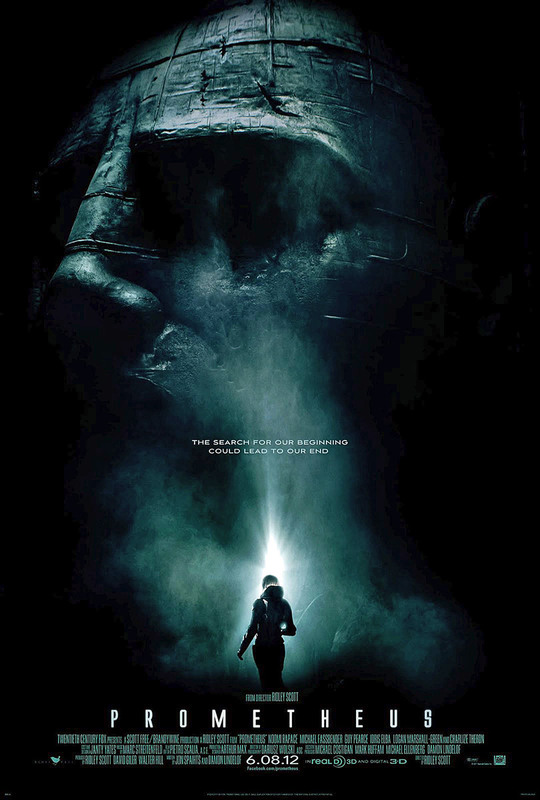 I see similarities between Prometheus and Alien, but it is a different sort of blockbuster than we are used to. I use the word ‘blockbuster’ here because of the massive marketing and promotional activity surrounding the release of this film. The majority of blockbuster releases are action films, with the rest of them really being animation. Have you also noticed that many blockbusters happen to be sequels or prequels? Maybe many of us where expecting an action packed prequel, and it isn’t that. I believe that Prometheus is the thinking man’s sci-fi film. It does have some pretty spectacular special effects, but not really any action packed battle sequences. What Ridley Scott wants you to do is leave the cinema and keep thinking about the film long after you have left the car park. Considering I left and had to really dissect Prometheus, this worked with me! So bottom line is if you want action galore out of Prometheus and those terrifying aliens running everywhere throughout the film, open your mind a bit before buying your ticket. An open mind will get you many places. 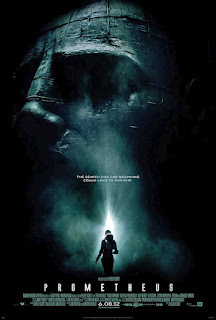 Prometheus may well be the most highly anticipated movie release of the year. The question is, does it live up to the expectations installed in us by the crazy promotional campaigns you have seen at every corner and those expectations held by Alien fanatics? The answer is it definitely depends what you want out of the film and also if you like to be challenged mentally by a film. That is what makes Prometheus such a great one of a kind film. Ridley Scott may not have given some people the action packed Alien prequel which some people were expecting, but he has given us a science fiction that makes you contemplate some of the questions humanity faces going into the future with some pretty spectacular special effects and cinematography thrown in. In the future, a group of explorers travel on the vessel Prometheus to the far reaches of the galaxy to where they believe lies the key to finding out where the human race came from. However, when they arrive there, they realise that unlocking the secret to human existence also means unleashing danger on the human race in more than one form. The important thing to point out firstly is that Prometheus, even though it is a prequel to Alien, shouldn’t be approached with the mindset that it is going to be an updated version of Scott’s 1979 Alien. There are several links to the film, but it is better as a stand alone film than a link to the Alien films. It is almost as though Scott has just used the ship that is seen in Alien as a setting for a separate film that covers a whole set of new factors. What makes Prometheus so intriguing is that it is not merely a film about a ship travelling to an unknown planet and being met with their dangers. It is a film about the friction between faith and human engineering, that is, the belief in God creating human life vs the idea that humans and science are the creators. The way the film pans out with these two ideas is perfect as both sides are presented in the beliefs of the two of the main characters, Elizabeth Shaw (Noomi Rapace) and Charlie Holloway (Logan Marshall-Green). The films conclusion shows what these two ideas can result in as far as human behaviour is concerned. Scott does quite a good job in direction. The cinematography is extremely impressive as is the editing. The script by Jon Spaihts and Damon Lindelof can tend to lack in parts and although the concept for the film is great, the script can let it down a bit. Some things aren’t carried as well by the characters as they should be and there are still some questions left unanswered. Such as the depth and nature of Meredith Vickers (Charlize Theron) and Peter Weyland (Guy Pearce). Also Shaw and the “pilot” of Prometheus, Janek (Idris Elba) seem to form an unbreakable bond in about 2 minutes. One would think a relationship with a result like theirs would take a bit longer to form. Scott couldn’t have possibly assembled a better cast for Prometheus. The three lead actors are three of the best actors around at the moment and are all having a huge year thus far. Noomi Rapace has confirmed with this role that she has made the move to English speaking roles with brilliance. Her character goes through a transformation throughout the film from being almost timid to being a strong woman and her character development skills are stunning. Charlize Theron is very good as Meredith Vickers. She is a character who you know you should hate, but it is almost impossible too as she is just so good to watch as a hard woman. Michael Fassbender’s portrayal of the android, David is brilliant. He is such an interesting character. Yet, he is extremely disturbing. Peter O’Toole will never be seen in the same light again after David’s imitation of him. The character carries the “Is he a good guy or is he a bad guy?” tag which is possibly the most intriguing tag a character can carry. Guy Pearce is also very good and almost unrecognisable as the elderly Peter Weyland. Prometheus is a win for movie goers who like to be challenged in their thinking by a film, but like to have it done in as interesting a way as possible, not just in a film which consists primarily of two characters sitting on a park bench having a philosophical discussion. Just remember, stand alone film. Not an Alien with 2012 technology. "Foreverland" (2011) in Canadian cinemas!